It’s widely known that mobile browsing has overtaken the use of the internet on laptops and desktops. We live in an ‘on the go’ world, and as work and family commitments keep us out and about nearly all the time, we need our browsing to be as flexible as we are. With the rise in popularity of smartphones, tablet devices and now even smartwatches, companies who want our time have to learn to be fully functional and even rise above and beyond for the small screen. But new research by Smart insights suggests that it’s not enough to be mobile responsive or optimized for tablet devices and touchscreen. A staggering 89% of internet usage on our small screens is actually done through apps, in comparison to 11% on mobile web browsers. So when it comes to online dating, which of the big dating sites offer the best options for dating apps? 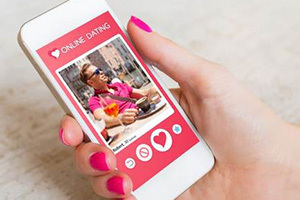 Many of the top names in dating websites offer fully functional mobile experiences, and after some thorough research, we’ve outlined a few of the best options for fun and functional online dating on the go. Match.com offers the freemium model, allowing you to download the app for free, set up your profile, upload photos and receive daily matches, all without ever opening your laptop. Additional features from Match include Stream for iOS, which works with your phone-based location services by suggesting nearby matches, and a fun and simple Mixer function which allows you to quickly swipe a yes or no to potential dates. On Android? Match lets you search for matches, send messages and even rate your matches from your smartwatch! As one of the most technologically advanced dating websites, with full Facebook integration, advanced behavioural matchmaking and even their own currency, it is no surprise that the Zoosk mobile app is one of the best on the market. Available for Android and iOS, and free to download, they offer all the functionality you’ll find on the website, with the added convenience of ‘on the go!’ For many modern day online daters, the ease of chatting in real time on your mobile phone is far more natural than using a desktop keyboard, and the Zoosk interface is similar to many common phone messaging apps, allowing you to talk to your matches in a relaxed way, wherever you are. 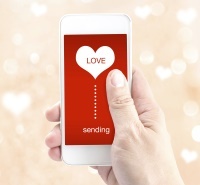 One unique added feature of the Zoosk app is the security and safety measures offered. Zoosk are currently the only dating website to offer their unique photo verification. Use your app to upload a seven second selfie video of yourself, with no additional software or downloads necessary. A human staff member will receive your video and compare it to the photos on your profile, and then mark you as verified. Verified profiles are therefore virtually risk-free in terms of catfishing and false identities, and choosing to chat to only verified members can keep you protected from potentially malicious behaviours. A special mention has to go to POF, as while they don’t currently offer many additional features on their fully functional mobile app, they do allow you to communicate with your matches on mobile without limits completely free of charge. With over 90 million singles, they are also by far the largest collection of daters to choose from. These two facts alone make them a risk free choice to dip your toes into an extremely large pool and see if online dating via app works for you. Lastly, don’t you dare step out on a real life date without taking the time to download eHarmony’s hilarious and useful Bad Date Rescue app. Simply schedule a call for any time later, or prompt your phone to call you in 3 seconds, 1 minute or 5 minutes, practise your ‘something terrible happened!’ escape face, and allow the app to come to your rescue! Does online dating really work? Read on to find out about the statistics of finding love online!